Dr. Henry Jekyll, Dr. Victor Frankenstein and Dr. Ox filled my early reading years with tales of mad experiments and bizarre scientific researches. These were stories that kept me almost breathless, adventures that fueled my dreams. Later I didn’t encounter many mad scientists on my readings and looking back at the wonderful time of childhood books it is a bit of a shame. Of course, there were the delightfully and hilariously wacko adventures of Pinky and the Brain that I fully enjoyed, but those are in a different league, both in media and approach. However, the opening line of this lovely TV show - Pinky: “Gee, Brain, what do you want to do tonight?” The Brain: “The same thing we do every night, Pinky—try to take over the world!” – receives 22 further responses in John Joseph Adams’ upcoming anthology from Tor Books. “The Mad Scientist’s Guide to World Dominion” is a collection of stories dedicated to the evil and twisted minds of the researchers and the attempts of bringing the world under their power. 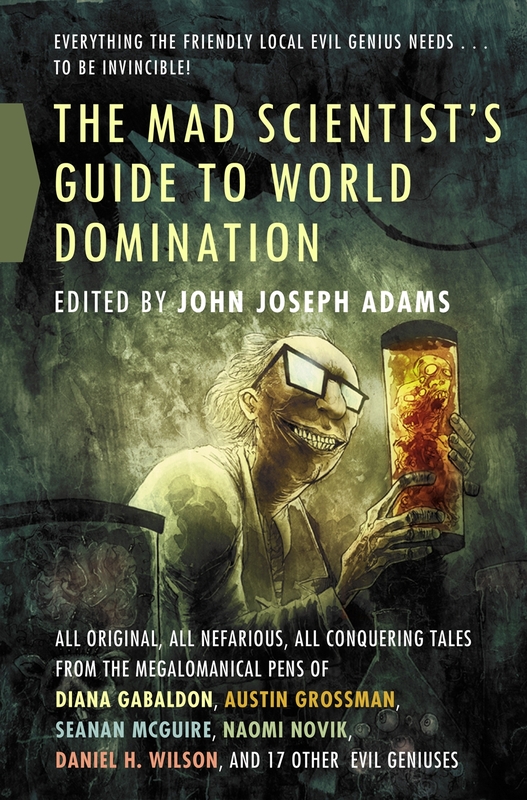 And since I do miss the crazy doctors of my childhood readings I am quite excited by John Joseph Adams’ new anthology and the rightful opportunity it gives to these geniuses to take the central stage. More information on their plans of taking over the world can be found at this website. Dr. Frankenstein was the first truly mad scientist of the modern era. And where did it get him? Destroyed by his own creation. And Jules Verne’s Captain Nemo, a man ahead of his time as well as out of his head, what did he do to deserve persecution? Even Lex Luthor, by all counts a genius, has been hindered not once, not twice, but so many times that it has taken hundreds of comic books, a few films and no fewer than ten full seasons of a television series to keep him properly thwarted. It’s just not fair. So those of us who are so twisted and sick that we love mad scientists have created this guide. Some of the names have been changed to protect the guilty, but you’ll recognize them. But it doesn’t matter. This guide is not for you. It’s for them, the underhanded, over-brained, paranoiacs who so desperately need our help. What lies behind those unfocused, restless eyes and drooling, wicked grins? Why–and how–do they concoct their nefarious plots? Why are they so set on taking over the world? If you’ve ever asked yourself any of these questions, you’re in luck: Because we are exposing their secrets, aiding and abetting their evil. It all awaits, within. “A More Perfect Union” by L. E. Modesitt, Jr.